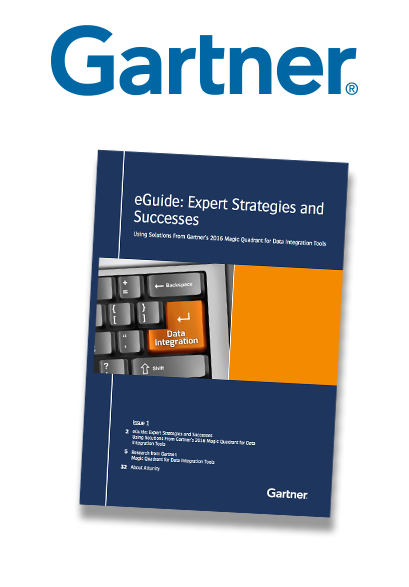 Download this eGuide with Gartner research to find out! Explore the data integration experiences of companies worldwide in Attunity’s new Expert Strategies eGuide, which includes a copy of Gartner’s 2016 Magic Quadrant for Data Integration Tools Report. Each company success highlighted is designed to help you understand which featured technologies could help you achieve your data goals to match their proven track records. These peer accounts will help you navigate the decisions and challenges of data integration and management, as well as decide which vendor is best suited to help you get there faster, easier and more cost-effectively. Download this today to start benefitting from real-time analytics and fast-moving business opportunities sooner.